So, where do you find the jobs NOW? Even if you had a successful job search 2 years ago, don’t assume that what worked then will work now. Spending your time polishing your resume and then applying for every job you find with that resume does NOT work today for most job seekers. Technology is rapidly changing — used a pay phone, a BlackBerry, or a paper map recently? Those changes have a very big impact on how recruiters recruit. And, changes in recruiting dramatically change effective job search strategies. Today, it is very easy to get overwhelmed with options when you are searching online for a new job. Choose a target job and target employers where you would like to work, and focus your efforts on that job and those employers. Unfocused job seekers apply for anything and everything. Consequently, they train employers, resume databases, and applicant tracking systems to ignore them. FACT: You are spinning your wheels and wasting your time until you focus on a particular kind of job and a group of target employers. You are not, as many believe, increasing your options by being vague and generic in your approach to your job search. If you don’t know the job you want, you will have a much more challenging job search. Fewer than 20% of jobs are filled by someone responding to a job posting, although many job seekers focus all of their efforts on applying for every job posting they find. to describe people who apply for every job they find. Resume spammers are ignored. Don’t be one! Because of the very large number of applications usually submitted by unqualified applicants in response to most posted jobs, job postings are NOT employers favorite way to fill jobs now — too many resume spammers. 1. Recruiters will find you when they search online for qualified candidates. Because of resume spammers, searching for qualified job candidates is an employer’s favorite way to fill jobs. Called “sourcing” it is also often the quickest way to identify good candidates. When you are appropriately visible online, employers searching for qualified job candidates will find you, particularly on LinkedIn. Your LinkedIn Profile and other activities on LinkedIn (your LinkedIn Updates and LinkedIn Group activities). Your other social media visibility, like Twitter and Facebook. Your resume and job applications. If you spend time applying for jobs online, customize the application or resume you submit so it includes the keywords used in the job description that are appropriate for you. 2. Recruiters will be able to verify the facts on your resume or application and to get a sense of your “fit” with their organization. Recruiters and employers are generally suspicious of invisible people, assuming that the invisibility is because the person is out-of-date (no understanding of how to use the Internet for business) or has something to hide. Neither of those assumptions will help your job search succeed. Research has shown that more than 80% of employers and recruiters search the Internet to learn more about you before seriously considering you for a job or inviting you in to an interview. If they can’t find you, you are usually not considered for their jobs. Read Get “Sourced” to Get Hired, and Job-Hunt’s Guide to Personal Search Engine Optimization and Guide to Personal Online Reputation Management for more details. No one wants to read this advice, but networking is the quickest way to a new job. Networking doesn’t mean attending events in big rooms full of strangers! Networking means staying in touch with people you know, and meeting new people. I’ve seen people connect with new jobs at a funeral, and they also connect at football games or over coffee with friends. You are five (5) times more likely to be hired if you have been referred by an employee than if you apply without knowing anyone. Employers really prefer to hire someone known to a current employee than a complete stranger off the street. Connecting with people at your target employers or choosing to work for an employer because you already have friends or family who work there is the most effective method of landing a new job. Visiting your target employers’ websites and finding the jobs posted there is a clear option. Often, you will find a link to “Current Jobs” on the home page. Sometimes, the link to job postings is labelled “Careers.” While you are on the employer’s website, you may be able to sign up to have new jobs sent to you. Check out the employers’ sites so you are familiar with what they do (products, services, senior management, locations, etc. ), and use that information you collect in your interactions with the employer. LinkedIn is currently the most powerful and effective professional social network. LinkedIn also has job postings (see the “jobs” link below the search bar at the top of every page). Also check out the Jobs tab in LinkedIn Groups (you can join up to 100), and the company profile pages for your target employers. LinkedIn is one of the best online venues for connecting with people who work at your target employers (and who worked there in the past). Use it to vet the employer, too. You can use the “company page follow” to stay up-to-date with what is going on, including members of your network who work for that employer and job postings. And, of course, you will find jobs posted on LinkedIn, too. The aggregators are powerful and very useful, including sites like Indeed.com, a Job-Hunt sponsor, which is the largest source of job postings in the world, aggregated (collected) from employer websites, job boards, association websites, publications, and more. Indeed and the other aggregators like LinkUp.com show you job listings. 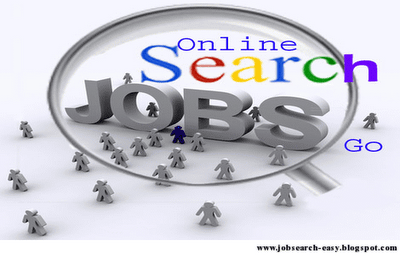 When you click on a job listing, the link takes you to the job source which can be an employer, a job board, another website, or the job posted on the aggregator’s site. Jobs posted on Craigslist sites aren’t usually included in an aggregator’s site unless the employer cross-posts the job. In addition to LinkedIn, job postings are available through both Twitter and Facebook. In Twitter, follow your target employers’ Twitter accounts for news and look for a Twitter account for jobs, too. Many employers also have Facebook pages for both marketing and, often, also for recruiting. Job boards are still very popular, but, as employers have increased their recruiting on their own websites and as the aggregators have made those jobs more visible, the general job boards are perhaps not as effective as they once were. Look for niche boards like Dice.com (for IT) and Idealist.org (for nonprofits). Associations and school alumni groups are very effective for networking, and often their websites have job postings for members. If you have worked for an employer in the past, look for an “alumni group” for that employer. Google has many hidden talents plus excellent tools for finding job postings as well as helping you with your job search in many other ways. This is a list of the top sources of job postings online, roughly in order of the number of job postings available. Do remember the job postings may not be your quickest way to a new job. If you want to work at the local mall or in the local McDonald’s restaurant, go to that business and ask for an employment application to complete. Dress nicely, be polite, and complete the form neatly and legibly, and you’ll probably end up with at least an interview the next time there is a job opening. Lastly, Be Careful Out There! When you are looking at job postings, be sure to keep in mind that many scams are published on all job posting sources. So, you need to be relatively cautious and skeptical about applying for jobs you find online. Read 9 Characteristics of a Job Scam for more information. If you currently have a job, be sure to keep a low profile for your job search so you don’t get fired (YES, they can fire you for job hunting in the USA!). Check Job-Hunt’s Guide to Stealth Job Search.